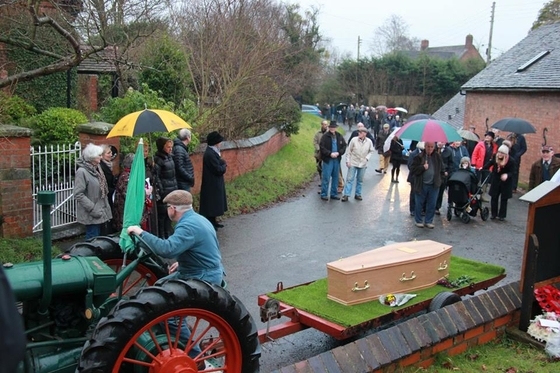 The body of Roly, a much-loved farmer and churchwarden was carried to church by a vintage tractor in a tribute to his love of farming and farm machinery. Roly left instructions he should be taken to the church at sunset to “be alone with my God” and his body was received after a cavalcade through the village. Over three hundred attend his funeral where churchwardens from the Bowbrook group of churches paid their own tribute by forming a guard of honour with their churchwarden wands.